Marfan Syndrome is described as a connective tissue disorder. Connective tissue is the cement that holds the body together and is present in every organ, blood vessel, bone and joint in the body. 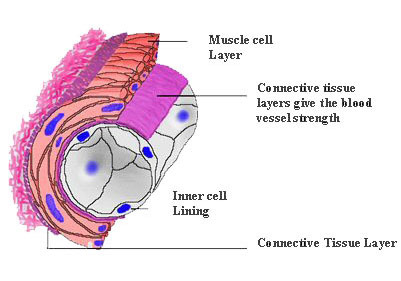 Connective tissue is made up of specialized cells and fibres that bind parts of an organ, blood vessel or joint together. For example if we look at the inside of the wall of this blood vessel, you can see the layer of connective tissue that gives the blood vessel its strength. In Marfan syndrome, one of the fibres (called Fibrillin) in the connective tissue is defective, leading to weaker connective tissue. This means that people with Marfan syndrome tend to grow taller; have longer arms, legs, fingers; flat feet; and have lax joints that can bend more than other people. As people with Marfan syndrome get older the weaker connective tissue can cause medical problems. These medical problems mainly affect the heart, aorta, lungs, joints, eyes and teeth. 90% of people with Marfan Syndrome have heart involvement. Aortic valve encompetence (leakage): The aortic valve controls the flow of blood from your heart to the rest of your body. Encompetence means that the valve is not closing properly, which puts extra work on your heart. This can slowly develop in marfan syndrome as people get older. Mitral valve prolapse / encompetence (leakage): The mitral valve controls blood flow into your heart from your lungs. It can be affected in a similar way to the aortic valve and can cause irregularities in the heart rhythm. In some cases these problems may need treatment with medications to reduce the strain on the heart, or sometimes surgery to repair or replace the valves. Aortic Aneurysm: The aorta is the largest blood vessel in the body and distributes blood from the heart to all the major organs in the body. The weaker connective tissue in the wall of the aorta in people with Marfan Syndrome means that the blood vessel can enlarge, especially if somebody has high blood pressure which can put extra stress on the wall of the aorta. 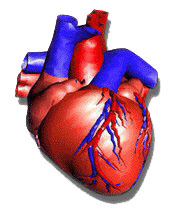 Occasionally a part of the aorta can become very focally dilated (which is known as an aneurysm). Aneurysms are dangerous as they can rupture suddenly, which is a serious life-threatening problem. If they are diagnosed when the person has no symptoms, they can be repaired surgically so as to avoid the problem of emergency rupture. Aortic Dissection: Occasionally the weaker wall of the aorta can tear, which is called a dissection, and this is an emergency which can be life-threatening. People who are diagnosed with Marfan Syndrome should have an ultrasound scan of their heart (called an ECHO) so as to detect early any enlargement of the part of the aorta that is most commonly affected. It is recommended that an ECHO should be done every 6 months until the size of the aorta is documented as being stable, at which time an ECHO should be performed every year. High blood pressure is treated aggressively, and if your aorta begins to enlarge you should be put on a medication called Beta-Blockers, which have been shown to slow the rate of enlargement of the aorta and reduce the risk of dissection. 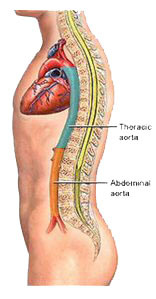 If the aorta continues to enlarge then at some point, a person may need surgery to replace that part. Pneumothorax, more commonly called a “collapsed lung”, is easily treatable but may sometimes need surgery to prevent it from happening again. Bronchiectasis, emphysema and asthma are conditions that can affect anybody (especially smokers), but are more common in people with Marfan Syndrome. Weakness in the connective tissue that joins the bones together at a joint causes two problems. Curvature of the Spine: As the spine is made up of 26 bones, weakness of the tissues joining these bones together can lead to curvature of the spine eg., Kyphosis (so called “rounded / hunched shoulders”) and Scoliosis (a curve of the spine to one side of the body). In many cases exercise and bracing provide excellent treatment, but sometimes surgery is necessary to prevent progression of the curvature. This can also be associated with a curvature in the breast bone (Pectus deformity). Joint dislocations: Those with Marfan Syndrome have more mobile, lax joints that can dislocate easier, but this tends only to affect the smaller joints, such as those of the fingers. These conditions can cause pain, but exercise, modifying daily activities and physiotherapy give an excellent chance of return to normal function. Connective tissue provides support for the lens in the eye, and weakness of this in Marfan Syndrome can lead to the lens moving out of it’s normal position. This lens dislocation occurs in up to 65% of people with Marfan Syndrome. The retina is at the back of the inside of the eyeball, and is the part of the eye that receives the light and converts it into an electrical signal to send to your brain. 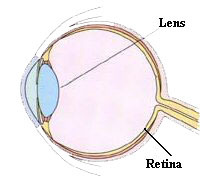 The retina can become detached from the back of the inside of the eyeball in people with Marfan Syndrome, due to weakness of the connective tissue holding it in place. Short sightedness (difficulty seeing things in the distance), glaucoma (raised pressure in the eye) and cataracts (opacification of the lens of the eye) are more common with Marfan Syndrome. Many of the problems with the lens of the eye can be compensated for with contact lens or glasses, but some lens dislocations and retinal detachments may need surgery. Hernias A hernia is most commonly noticed as a lump in the groin area. It is due to a weakness in the connective tissue of the muscles underneath the skin. A small outpouching then forms, which produces a lump. This may need surgery especially if the lump is painful. Hernias are common in general but are more common in those with Marfan Syndrome. A defect in the gene occurs at the time of conception, in a child who has no parents affected by Marfan Syndrome. Everybody is different in how their Marfan Syndrome will affect them, even from one sibling to another within a family, as there are many different variants of the gene. Overall, Marfan Syndrome is uncommon, affecting about 1 in 5000 people. Unfortunately, many people in Ireland are only diagnosed when they present with a serious complication of the Marfan Syndrome. This is because many of the manifestations of Marfan Syndrome such as being tall are common in the general population, and a person may not have many of the “classical features” of Marfan Syndrome. There is no “Marfan Test” that can be used to definitively establish or exclude the diagnosis of Marfan Syndrome. If someone is suspected of having Marfan Syndrome, either from their clinical history or family history, they should be referred to a doctor with a special interest in this condition. Their diagnosis is based on findings from examination of the patient and may involve opinions from other specialists such as opthalmologists (eye specialist) and cardiologists (heart specialist). Although we know the gene that is problematic in Marfan Syndrome, genetic testing is only used in certain situations, such as for investigating a family with a strong history of diagnosed Marfan Syndrome. Genetic tests are not used as there are many defective forms of the fibrillin gene, more of which are discovered each year, so not detecting the defective gene doesn’t mean that you don’t have Marfan Syndrome. In any case the same treatment applies for any complication of Marfan Syndrome regardless of whether the person has been diagnosed with Marfan Syndrome or not. Why is it called Marfan Syndrome? Marfan Syndrome is an inherited disorder of connective tissue. A French paediatrician called Antoine Bernard Marfan (1858-1942) was the first to describe the characteristic features of this condition. At a medical conference in Paris in 1896 he presented the case of a 5 year old girl called “Gabriel P” who was unusually tall and had long slender fingers and toes. From here on, the condition became known as Marfan Syndrome. He developed some of the terminology we use today in reference to the condition, for example, the term dolichostenomelia which means long slender limbs. 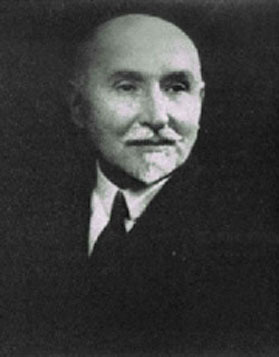 Antoine Bernard Marfan (1858-1942)	A family with Marfan Syndrome and the classical features that Antoine Bernard Marfan described. 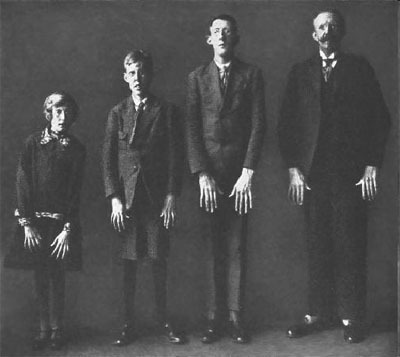 Marfan Syndrome has always sparked the interest of medical historians and a passing search of Google springs forth a list of historical figures thought to have suffered from the condition. The famous classical composer Sergei Rachmaninof (1873-1943) is on this list. His compositions on the piano are exceptionally difficult to play and aside from his obvious musical genius, it is thought that his long fingers which gave him a long reach on the piano helped him in this regard! For those who aren’t familiar with Rachmaninov, I suggest you listen to the soundtrack from the movie “Shine”. The subject of this film is an Australian pianist David Helfgott who struggled with mental illness. However, David is famous for his performances of the “Rach 3”, a famously difficult piano concerto by the aforementioned composer. 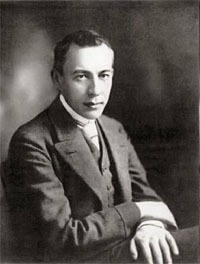 Sergei Rachmaninov (1873-1943), classical composer, thought to have had Marfan Syndrome. 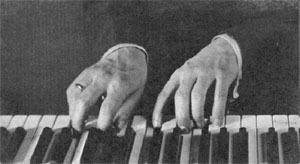 Hands of Segei Rachmaninov. His long fingers, thought to be due to Marfan Synrdome, gave him and exceptional reach on the piano. 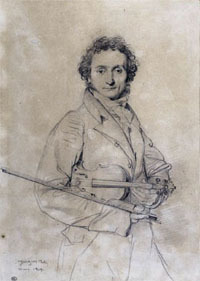 Niccolo Paganini (1782-1840), composer and violinist. His long fingers, thought to be due to Marfan Syndrome gave him an extraordinary reach of 3 octaves on the violin! It is also an interesting irony of fate that Rachmaninov was probably a fan of another classical composer named Niccolo Paganini who lived less than 100 years before (1782-1840). Indeed, one of Rachmaninov’s most famous compositions is called the Rhapsody on a theme by Paganini. Paganini was another musical genius but interestingly, he was gifted with certain physical characteristics similar to Rachmaninov which helped him become a renowned violinist. Again, long slender fingers gave him an extraordinary reach on the violin. He too was thought to have suffered from Marfan Syndrome! Other famous historical figures believed to have had Marfan Syndrome include Julius Caesar, Charles de Gaulle, Mary Queen of Scots, and Abraham Lincoln. It has also been suggested that the ancient Egyptian Pharaoh Amenhotep IV (Akhenaten) may also have had Marfan Syndrome. What is the chance that my child will have Marfan’s Syndrome and is there any risk during pregnancy? If you have been diagnosed with Marfan Syndrome, there is a 50-50 chance that your child will have Marfan Syndrome, even if you are the first person in your family to be diagnosed with Marfan Syndrome. However before starting a family you should seek advice from your GP, who can refer you for genetic counselling and ensure you get specialist care during your pregnancy. There is an increased risk that your aorta can enlarge during the pregnancy so it is important that your obstetrician is aware of this, and you are monitored closely. Is there a cure? How is it treated? As Marfan syndrome is due to a defect in a gene, there is no way of repairing this gene yet. Much research is underway at present into genetic conditions such as Marfan Syndrome, and how to correct the defective gene. However, many of the problems that occur with Marfan Syndrome are eminently correctable. Early diagnosis and regular follow-up for monitoring of developing conditions is essential. Regular assessment allows for early and timely intervention to minimize problems with certain complications, especially the heart complications which can be life-threatening. By understanding what Marfan Syndrome is, and what the potential complications and treatments are, allows you to know your own limitations, depending on how the condition affects you. Each individual with Marfan Syndrome is affected differently, but awareness of how it affects your heart, lungs, eyes, bones and joints, and the potential treatments allow you to actively manage your treatment with your GP and other specialists, and reduces “fear of the unknown”. General advice is to avoid smoking (which destroys connective tissue further), eat healthily, exercise regularly, avoid heavy lifting and contact sports, and consult your GP early if problems arise. Your GP can provide appropriate management of your blood pressure and give advice. Cardiologist / Cardiac Surgeon (heart specialists): For assessment of valve problems and enlargement of the beginning of the aorta. An ECHO test (ultrasound scan of the heart) is used to monitor for these changes. Surgery may be needed to manage emergency aortic dissection, aneurysms, enlargement of the aorta and valve problems. Clinical Geneticist: For genetic counselling, diagnosis and advice on planning future pregnancies. Orthopaedic Surgeon: For advice on curvature of the spine, and managing (bone and joint specialist) joint pains. Physiotherapist: For advice on management of joint disorders. The defective fibrillin gene that causes Marfan Syndrome was discovered in 1990. Since then there have been massive developments in our understanding of what happens to the body with Marfan syndrome, and how the complications develop. This better understanding through research is suggesting new treatments for the common complications that occur, and potential treatment of the underlying defective fibrillin gene. The Marfans Research Foundation provide information on many aspects of Marfan Syndrome as well as links to other sources of information and useful websites at www.marfansresearchfoundation.ie.